This October, head to Hotel Jen Manila for an enchanting Halloween adventure—a hearty feast, fun and games, prizes, giveaways, and a lot more! Jen is inviting everyone to a thrilling, scrumptious Sunday Brunch on October 29, 2017 at Latitude Restaurant. The Sunday Brunch highlights include the salad bar, fresh seafood station, hot items that include bacon wrapped chicken, baby back ribs, and ox tripe kare-kare; a live cooking station where your favorite pasta is cooked a la minute and slices of roast prime rib of beef at the carving station. Halloween has always been for kids thus, children will definitely have a special place at the buffet with the Kids Station. This ‘little’ station includes a spread of party favorites such as mini burgers, mini pizzas, Filipino-style spaghetti, fried chicken, and ice cream for dessert. Be on the lookout for the candy buffet and the Halloween themed desserts that the kitchen team has creatively put together. 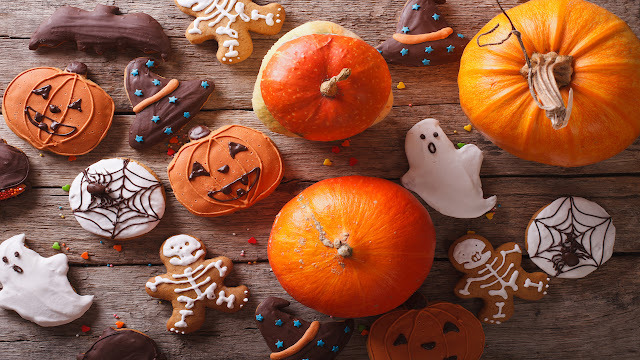 In addition, all guests dining during the Halloween Sunday Brunch shall be taken into a spooky fun-land filled with treats and exciting activities like a magic show, face painting, balloon twisting, games and the much anticipated trick or treat. Tickets are priced at Php 1,400 nett per person, inclusive of Sunday Brunch, a bottle of sparkling wine (330ml), access to the pool, Kids Zone, complimentary parking and valet services, and unlimited Wi-Fi access. Kids aged 4 to 11 are entitled to a 50% discount, while kids aged 3 and below are free, when accompanied by at least one paying adult. For inquiries and reservations, please call (02) 795-8888 or (0917) 806-2017. The Halloween Sunday Brunch is made possible with Emperador Distillers Inc., Lucky Me and Cocoline. Hotel Jen Manila is located along Roxas Boulevard with a direct and easy access to the newly constructed NAIA Expressway. The international and domestic airports are just 20 minutes away from the hotel, and the Makati business district is only 30 minutes away. Hotel Jen Manila is also adjacent to the country’s premier conference and exhibition facilities – the Cultural Center of the Philippines, Philippine International Convention Center, World Trade Center and SMX Convention Center and 10 minutes away from the SM Mall of Asia. Malate, the entertainment district of Manila City, is within walking distance from the hotel.